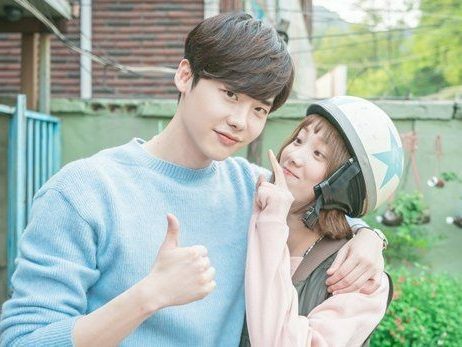 January 6, 2019 January 6, 2019 dramajunkieblog2 Comments on Kdramas- Voice 1 & 2 | Info & Review | Which one is better? Kdramas- Voice 1 & 2 | Info & Review | Which one is better? I have decided to start sharing my thoughts on kdramas that I have watched in past. I will post in the order from recent kdramas that I have watched. I will only post about dramas that I loved or liked at least half of the drama. I won’t be making separate posts for dramas that I dislike or hate. I will mention such (dropped dramas) in monthly watchlist or Year-end reviews only. These posts will be spoiler free and have plot, cast, details, trailers and my thoughts with ratings. If you have already watched this drama feel free to share your thoughts in the comments below. If you want to read more drama reviews/recommendations from this site- CLICK HERE. Popular detective Moo Jin Hyuk who is filled with guilt for his wife’s death, works with professional voice profiler Kang Kwon Joo, whose father is killed, to solve a different crime, chasing for the serial killer responsible for the deaths of their family members. When I first started watching kdramas, for a year at least I watched only romance comedy dramas. I didn’t know that there was anything besides that too. I tried watching signal after reading a lot about it but didn’t like actors and time travel plot so I kept it on hold. I did finish that drama after a year or more because everyone called it best kdrama ever and it was among top rated (no.1 spot) kdramas on mydramalist for a long time. In these three years of watching kdramas I have watched few crime thrillers like voice series, tunnel, signal, stranger, etc. When it was airing, I kept reading good stuff about it but at that time I was watching kdramas like Missing 9, Hwarang, Goblin (dropped all these dramas later.) and The legend of the blue sea, weightlifting fairy Kim Bok Joo💕. I watched this drama in April 2017, a month after it ended. I was excited to watch it. I think those who have never watched crime, thriller, detective dramas like this are going to love it as much as I did. For me, it was better than signal. I really liked the side stories which was different after every two episodes or more. That’s why I find this drama series so interesting in the beginning. It was good in the first half. The second half was dragged, got boring and the story was not as interesting as before. I still managed to finish this drama and I am glad that I watched it. Listen closely, because skilled voice profiler Kang Kwon Joo is back. Working tirelessly at the Emergency Call Center, she uses her first-rate hearing to save lives and catch culprits. When it comes to responding to emergencies within the vital “golden time,” Kang Kwon Joo is simply the best. Do Kang Woo is a mysterious man who’s able to tap into the mind of a criminal. He also hides a secret pain that he doesn’t share with anyone. When he meets Kang Kwon Joo, they reluctantly form a team. She can hear crime; he can think it. Together, they take on the most dangerous criminals their city has ever seen. I had the same expectations as season 1 from season 2 as it was just 12 episodes. I think the starting episodes were as good as season 1. The new male main lead as well as the other new actors did a good job too. I liked everyone but I feel villain of this season wasn’t as impressive as its previous season. 12 episodes were just enough. I don’t feel anything much about the end cliffhanger but I will watch another season too if it’s made. I don’t have any favorite ost in these dramas. If you know any good one do share it in the comments below. Between first and second season, I will recommend watching the first one that is Voice 1. Let me know if you have watched this drama series and which one is your favourite. Hands down, I go with the first Voice. Kim Jae Wook was so villainous and evil that he almost gave me nightmares. He really played a perfect serial killer and I still get shivers when I think about it. While I haven’t finished Voice 2, what I saw was pretty decent. Although, the serial killer in Voice 2 can’t top Kim Jae Wook in the first. I went into Voice 2 with high hopes. I think Lee Ha Na and Lee Jin Wook are doing well, but I miss Jang Hyuk’s character. I felt like they were really gelling by the end of the season. So I was a bit disappointed when JH declined working on the second season as he felt he didn’t have anything new to bring to his character. Although, I respect the decision, I feel like we barely scratched the surface on his character in the first Voice. And not all of the cast was able to return for the second one due to scheduling conflicts, so that was a bit disappointing as well. I am trying to finish Voice 2 sometime this year, but sadly I haven’t felt the urge to sit down and finish it. It’s not a bad drama by any means, but it just isn’t as good as the original and it’s so hard not to draw comparisons sometimes. Thank you for sharing your thoughts. I like to see these kinds of posts. It’s reminded me that I’ve got to get it together this year and finish dramas that I’ve left hanging in the balance. Previous #Repost Korean food that I’m dying to try.